In pursuing our mission to improve the human condition by providing leading products, services and systems to researchers, Thermo Fisher Scientific Inc. and its affiliates collect and process personally identifiable information (also known as personal data) in a variety of circumstances. Privacy statements begin with a description of the activities and individuals to which that statement applies. Statements may vary by country, region, or Thermo Fisher Scientific business group. Please make sure that you read these descriptions carefully so that you can view the disclosures that apply to you based on how you interact with us and where you are located. Collection Limitation: To obtain personal data by lawful and fair means and, where appropriate, with the knowledge and consent of the individual whom particular personal information is about (the “data subject”). Data Quality: To process personal data that is, taking into account the purposes for which it was collected, accurate, complete and up-to-date. Purpose Specification: To specify the purposes for which personal data is collected before such collection takes place. Use Limitation: To use personal data only in accordance with the purposes that were specified before it was collected, except with the data subject’s consent or by the authority of law. Security Safeguards: To protect personal data using reasonable security safeguards. Openness: To be open about privacy practices, policies and developments, and the details of any processing that takes place. Individual Participation: To respond to data subjects’ requests to know what personal data is being processed and guide how that data should be processed, as required by applicable law. Accountability: To be accountable for complying with measures that give effect to these privacy principles. Privacy standards may vary by country, region, or Thermo Fisher Scientific business group, depending on applicable law and regulations. Please refer to the website for the country or region in which you are located, or to websites that may apply to specific business groups. Scope. This Online Privacy Statement is relevant to any user or visitor of Thermo Fisher Scientific Inc.’s (and its subsidiaries' (including Thermo Fisher Scientific Australia Pty Ltd (“Thermo Fisher Scientific Australia”)) websites, mobile applications and online services (“Online Services”) where these services directly link to this Online Privacy Statement. Users or visitors located in the European Economic Area should also view the Supplemental European Online Privacy Statement displayed on websites in their countries. This Online Privacy Statement does not cover any other data collection or processing, including, without limitation, through other Thermo Fisher Scientific Inc. products or services that do not display a direct link to this Statement, or through third-party websites. In this Online Privacy Statement, Thermo Fisher Scientific Inc. and its subsidiaries (including Thermo Fisher Scientific Australia (for the purposes of this Online Privacy Statement, “we” “us” or “our”) provides information about how it receives, collects, uses and transfers information about any user or visitor (for the purposes of this Online Privacy Statement, “you”) of our Online Services where these Online Services directly link to this Online Privacy Statement. 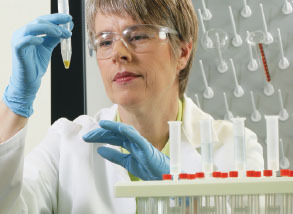 Examples of Online Services include thermofisher.com.au, thermofisher.co.nz, thermofisher.com, fishersci.com and the mobile application available through thermofisher.com. If you are located in the European Economic Area, please refer to the Supplemental European Online Privacy Statement. Information You Actively Submit. If you create an account, order products, register for services, or otherwise submit data using the Online Services, we collect and hold information about you and the company or other entity you represent (e.g., your name, organization, address, email address, phone number, fax number). You may also provide information specific to your interaction with the Online Services, such as payment information to make a purchase, shipping information to receive a purchase, or a resume to apply for employment. In such instances, you will know what personal data is collected and held by us, because you will have actively submitted it. Information Passively Submitted. We automatically collect information during your use and navigation of the Online Services, including the URL of the website you came from, the browser software you use, your Internet Protocol (IP) address, IP ports, date/time of access, data transferred, pages visited, amount of time you spend on the Online Services and information about actions and transactions conducted on the Online Services. If you use our mobile applications, then we also collect technical information about your device (including device operating system version and device hardware), unique device identifiers (including device IP address), and, if you activate the relevant feature on your device, geolocation data. This data is generated and collected automatically, as part of the standard operation of the Online Services. We also use “cookies” to enhance and customize your experience of the Online Services. A cookie is a small text file that may be stored on your computer or device used to access the Online Services. You may set your browser software to reject cookies, but doing so may prevent us from offering conveniences or features on the Online Services. To reject cookies, refer to information about your specific browser software. We also use eTags, which are opaque identifiers assigned by a web server to specific versions of a resource found at a URL. If the resource at that URL changes, a new and different eTag is assigned. This allows us to track which pages you visit while on the Online Services. In addition, we use electronic images known as web beacons (also called pixel tags or clear GIFs) to track users who have visited the Online Services. Web beacons allow us to deliver content and marketing communications tailored to your interests. We strive to provide a customized, personalized experience to website visitors. Our websites do not currently respond to ‘do not track’ signals in web browsers. Customize your experience on the Online Services. We may use your email address to send you marketing emails to a designated email address. If you do not wish to receive such marketing emails, you may opt out by declining to receive such emails when registering or at other information collection points on the Online Services or by following opt-out instructions included in such emails. We may collect personal data about you (namely, your position, specialty and publications) from publicly-available resources such as company, university, and publications websites, and combine it with personal data we have collected about you, to complete our customer profile of you in support of our sales and marketing activities. We may display advertisements to you regarding products and services that we believe are relevant to you based on your activities on the Online Services. Such advertisements may be shown on our Online Services or the online services of others. We achieve this purpose by using, and allowing third parties (Facebook is one of the best-known, but these are too numerous to list) to use, certain cookies, eTags, web beacons and other tracking technologies to track your activities on our Online Services and other online services. For more information about these activities and how to manage or opt out of them, please see our statement on Cookies (https://www.thermofisher.com/us/en/home/global/how-cookies-are-used.html) or contact us at dataprivacy@thermofisher.com. We also perform statistical analyses of the users of our Online Services to improve the content, design and navigation of the Online Services. In these cases, we use aggregate or statistical data that cannot reasonably be used to identify you. We may disclose personal data to our related entities and third parties located in other countries. In the event personal information is sent overseas from Australia, Thermo Fisher Scientific Australia shall adhere to the requirements of APP 8 (cross-border disclosure of personal information). Service providers acting on our behalf shall be obliged to adhere to confidentiality requirements no less protective than those described in this Online Privacy Statement and will only receive access to your personal data as necessary to perform their functions. Uses and disclosures of personal data by third-party individuals and organizations acting on our behalf are governed by agreements that require personal data to be protected appropriately. In these cases, personal data about you will only be used and disclosed by us and individuals and organizations working on our behalf, in a manner consistent with this policy, other applicable privacy notices, and as explicitly permitted or required by applicable laws, rules and regulations. Our third-party service providers are located in Australia, New Zealand, the United States and other jurisdictions. Retention. Personal data collected by us may be held in hard copy or digital or other format. We generally retain personal data for as long as needed for the specific business purpose or purposes for which it was collected. In some cases, we may be required to retain personal data for a longer period of time based on laws or regulations that apply to our business or for other necessary business purposes. Where possible, we aim to anonymize the information or remove unnecessary identifiers from records that we may need to keep for periods beyond the original retention period. Access. You may access, correct, and/or update your information by accessing your accounts or profiles on the Online Services. Alternately, you may at any time request access to information that we hold about you by contacting dataprivacy@thermofisher.com. Within a reasonable period after receiving a request from you, we will take reasonable steps to provide you with access. If we cannot act on your request (such as where we are not permitted by law), we will provide you with reasons why. You may also request corrections, updates, or deletion of your information. We will make reasonable efforts to respond promptly to such requests in accordance with applicable laws. If we refuse to correct your personal data, we will give you written notice setting out our reasons for the refusal and the mechanisms available to complain about the refusal. We may charge you a reasonable fee to access and/or update your information. Information Security. We take commercially reasonable technical, physical, and organizational steps to safeguard any information you provide through the Online Services, and to protect it from unauthorized access, loss, misuse, alteration, or disclosure. Although we take reasonable security precautions, no computer system or transmission of information can ever be completely secure or error-free, and you should not expect that your information will remain private under all circumstances. In addition, it is your responsibility to safeguard any passwords, ID numbers, or similar individual information associated with your use of the Online Services. Changes to this Online Privacy Statement. We reserve the right to change this Online Privacy Statement from time to time. We will alert you when changes have been made by indicating the date this Online Privacy Statement was last updated as the date the Online Privacy Statement became effective. It is recommended that you periodically revisit this Online Privacy Statement to learn of any changes. Questions and Comments. If you have questions or comments about this Online Privacy Statement or about how any information you submit through the Online Services is used, please contact dataprivacy@thermofisher.com. To the extent that your personal data was collected in Australia, if you have a complaint regarding our handling of your personal data please contact us at AUinfo@thermofisher.com or by mail to PO Box 9092, Scoresby VIC 3179. We will respond to complaints within a reasonable period of time. If you disagree with our decision, you may refer the complaint to the Office of the Australian Information Commissioner by visiting www.oaic.gov.au, calling 1300 363 992 or by emailing enquiries@oaic.gov.au.